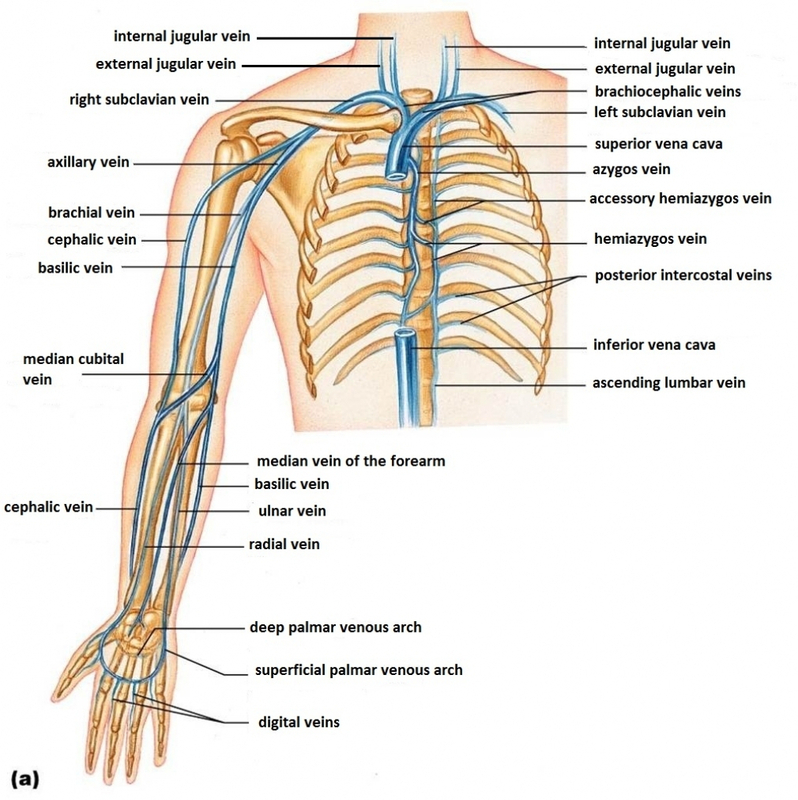 The basilic vein joins the brachial vein to form the axillary vein. The basilic vein is a very common site of gaining venous access into a patient. It is used commonly for placing PICC lines and various other endovascular procedures.